Well, my London trip is over and I'm taking time to reflect on an interesting few days spent in the capital. London has certainly got it right on the public transport front, passengers need have no fears about getting around on the many transport choices available. The bus routes at first seem quite daunting, but with the help of one of the excellent LT bus maps routes can easily be planned. Most routes run services at intervals of between five and ten minutes so it's just a case of turn up and go. Buses do get held up at busy times but the view from the top deck makes the journey so interesting. Holders of concessionary passes can travel any time of day or night. No views much from the tube but journey times are much quicker. 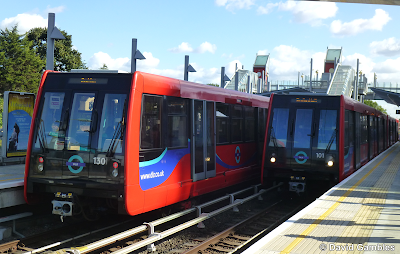 The Docklands Light Railway is interesting to ride on with some interesting views, the driverless trains seem strange at first. 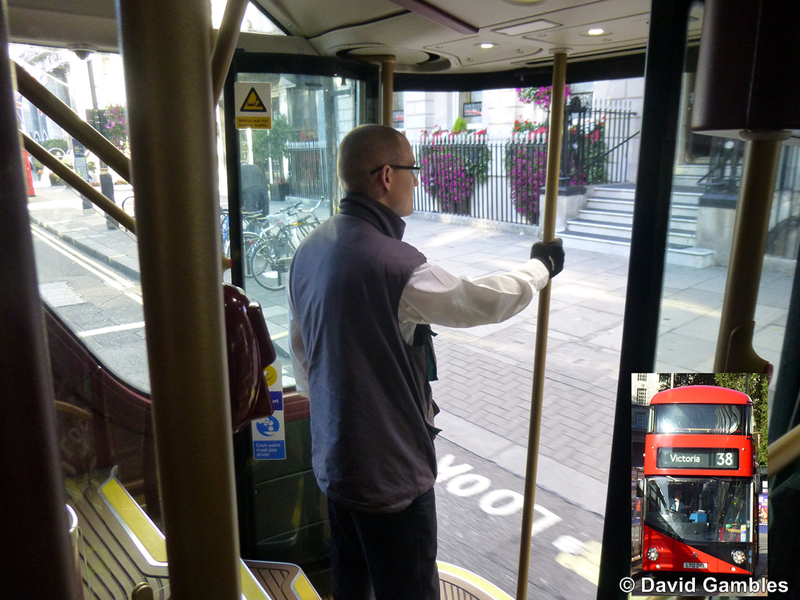 A London Transport zone1 to 4 travel pass can be bought for £7.70 and a zone 1 to 6 costs £8.50. These can be used after 9.30am so if you make an early start and have a bus pass, use buses until 9.30 and then move to the tube if required. These passes also allow travel on the 'Overground' which incorporates routes such as the North London Line which now have new trains and upgraded track and stations and have become well used since being incorporated into the overall London Transport network. that are run by LT using the'Overground' name. New trains and refurbished stations have transformed the services. Most interesting methods of transport must be the 'Emirates Air Line' cable car followed by the New Bus for London, followed by the various hybrid vehicles in service on varying routes. Interesting that the hydrogen powered buses don't seem to be in service since they disappeared just before the Olympics and rumours are that they won't return to the streets of London and might end up in service in Scotland. London. The only service they can be found on is the 462 which runs between Ilford and Hainault. an Optare Versa hybrid demonstrator is on duty on Prince Consort Road. The news yesterday that LT have ordered 600 more 'New Bus for London' vehicles is a major move towards hybrids. The current vehicles are operated with the rear door open with a member of staff on-board to supervise loading and unloading. That means 600 extra staff x two shifts to crew the new vehicles?